Beautiful landscapes, tasty food, strange dogs sitting on motorbikes (yes really), Sant’Angelo and much, much more… Ischia, the Green Island is one of our favourite island. Ischia is one of the three island of the gulf of Naples, green and with a beautiful environment – the other two are Capri and Procida. We decided to move by boat from the centre of the city: you could go with the ferry-boat (cheaper solution) or with the hydroplan – aliscafo (expensive, but faster). 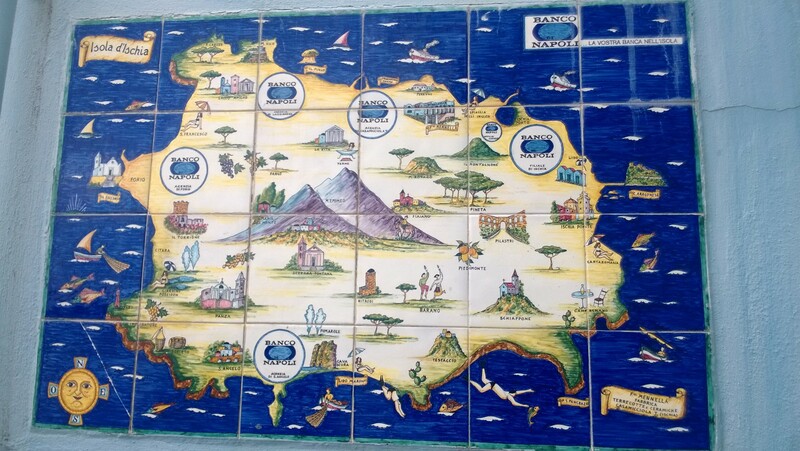 The main companies are Caremar, Snav and Medmar and they leave from Molo Beverello, Calata Porta di Massa or Pozzuoli. We stayed in a nice hotel in Forio, at the east of the island. In march the weather is not so hot, in fact we had two cloudy days. But the good thing is that in this period the island isn’t chaotic like in summer. Bad thing, most of all the thermal spas was closed – they will open in april or may. 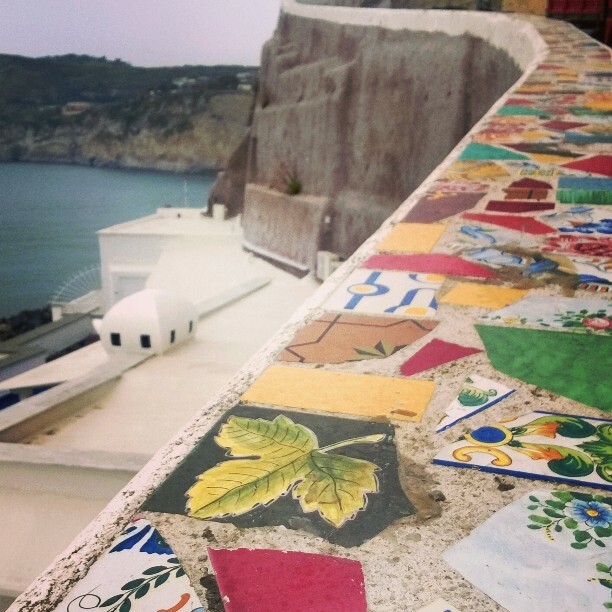 This was an exciting long weekend discovering a beautiful island, the Green Island: Ischia. 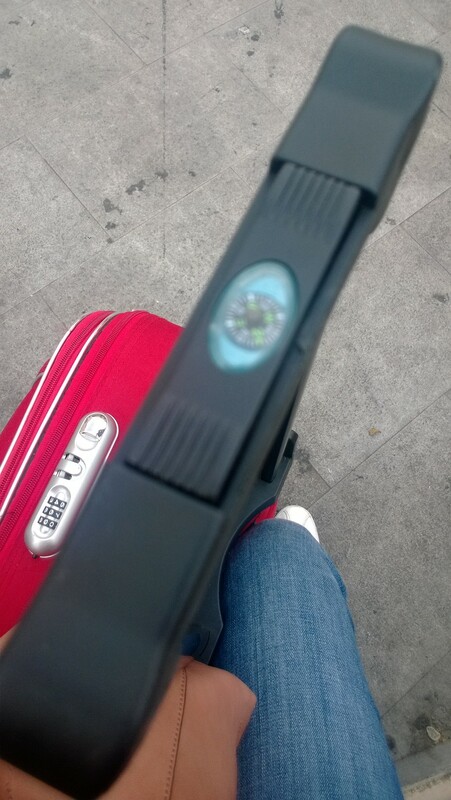 We arrived at 2 pm in the hotel: a quick shower and we were ready for Forio. It is a quiet and beautiful town. You can move in the island by cab – they are not so expensive and we advice you to negotiate the price. If you have a lot of patience you can buy bus tickets and wait loooong time for one of the buses: 1, CD or CS. 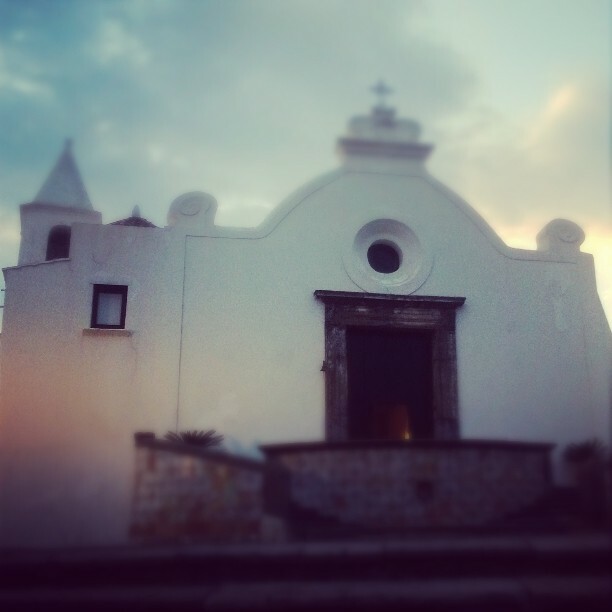 We went to Chiesa del Soccorso, one of the most romantic places of the island. 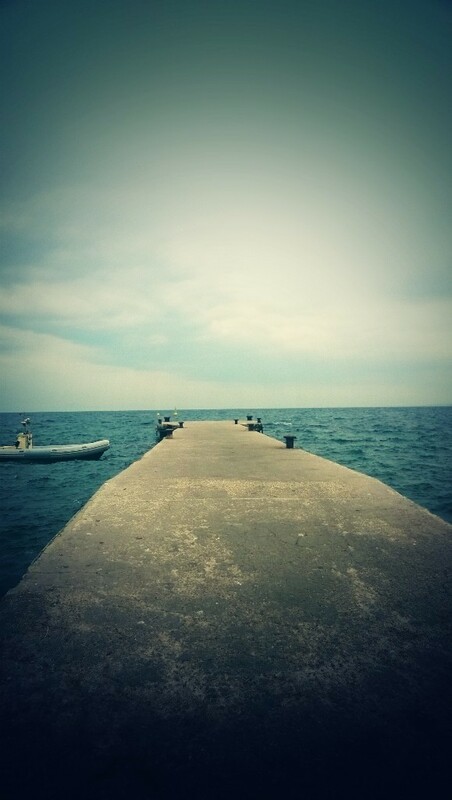 The best is to stay on the parapet at dusk, viewing the sea and the the horizon’s immensity. We walked in the narrows, taking a tasty coffee in a bar. Then we moved on the little beach on the promenade. Sitting on the sand, with the warm weather and a gentle breeze in the hair, is one of the most relaxing things of the life. Back at the hotel, we went in the little but confortable pool with steam bath of the hotel, Zi’ Carmela (Aunt Carmela). A little swim ad we were ready for the evening! For the dinner, during march, you will be surprised of seeing how many restaurant are closed and, the opened ones are almost empty. We went in a pizzeria and we ate mussels with tomatoes and pizzas. The evening was windy, the temperature colder, so we decided to have a little walk and then go to sleep early. A good choice. One of the traveler’s commandments is: think quickly and change idea if necessary! And so it goes this morning: the bus to Ischia Porto was delayed, we waited more than 30 minutes, so decided to change route and go in the opposite way: direction Sant’Angelo. It was a rainy day, so we had a long break in a bar while outside was raining. We had a good conversation with the owner about the quality of the coffee in Naples and in the island. 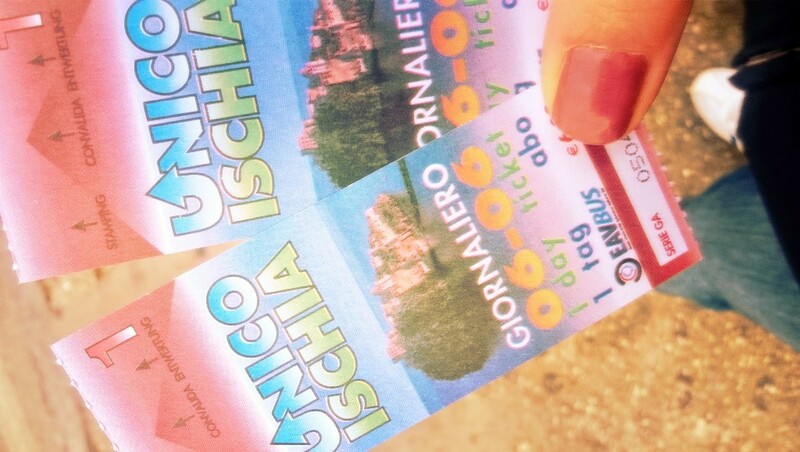 With another bus, we arrived at Ischia Porto, and with another one at Ischia Ponte. We walked a lot, to see all this beautiful part of the island. 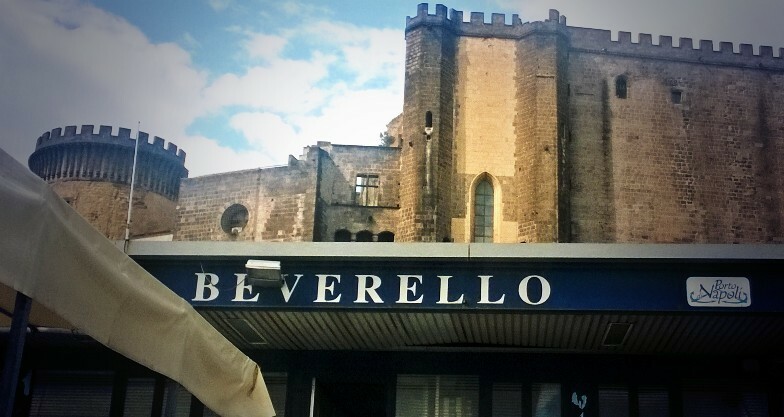 We decided to save money – 10 euro – and we didn’t visit Castello Aragonese. We took another bus to come back in Forio, and on the road we saw the particular rock, very famous, called Mushroom rock, at Lacco Ameno. Another stop at Chiesa del Soccorso, for us the best place of the island. We saw a lot o f boys playing football and the sound of the waves below us. Everything was perfect, a very special moment. At 7 pm we decided to come back at the hotel. We bought some big and tasty strawberries and these were our dinner. Very tasty. Half day, to be correct. Just a big and good breakfast in hotel, then the usual long wait for the bus and the hydroplane to come back in Naples. We didn’t like the long pause between the departures of the boats, and the fact that the 10.45 ferry-boat was cancelled. We were almost missing the next hydroplane, but with a frantic run for the ticket we succeeded to go on board, wow!